What is a Working Farmland Easement? 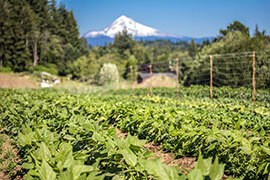 Farmland acreage in Multnomah County has decreased by 63% – 50,000 acres – since 1945. Drag the slider (blue circle) over the map above to compare between the extent of farmland in the EMSWCD service area in 1948 and in 2016. Soil and water conservation districts have a long history of voluntary partnerships with farmers to protect and improve the soil and water resources needed to grow crops. But what happens if that farmland is converted to other uses? We help ensure high quality farmland is available for current and future farmers by entering into voluntary farmland protection agreements which provide cash and other incentives. When our farmland is protected, we all benefit. Our rural agricultural economy is sustained, our local farmers markets and restaurants can offer fresh, local products, and we all get to enjoy the rural landscapes that make Oregon such a special place. Are you a farmer or landowner interested in learning more? Visit our Landowner Options page or contact Matt Shipkey, our Land Legacy Program Manager at (503) 935-5374 or matt@emswcd.org. Check out our Farm Succession resources page! 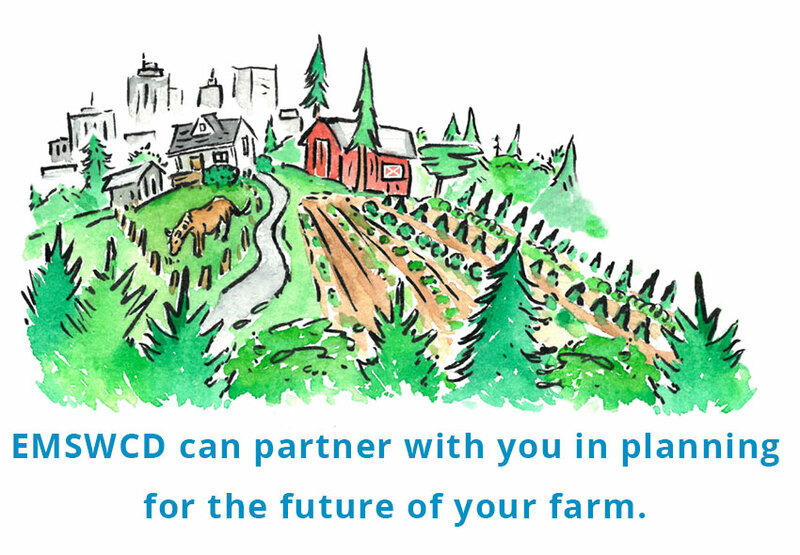 Follow this link for a great collection of resources on family planning and farm succession.